What would you do if you love lasers, 3d modeling and had an obsessive-compulsive knack for software development and uber-functional design? 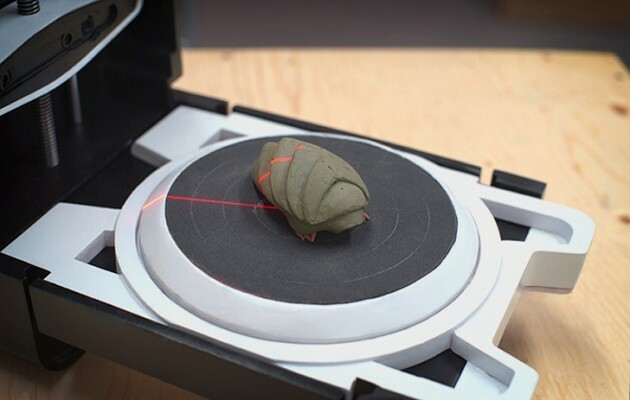 You would design and launch a 3D scanner that made all other 3D scanners look like shop-class throwbacks. We like the cost of DIY scanners and the resolution and scan area of some high-end scanners, but for quick, desktop, on-the-fly scanning of everyday objects, we’re simply in love with the Photon 3D Scanner from Matterform. 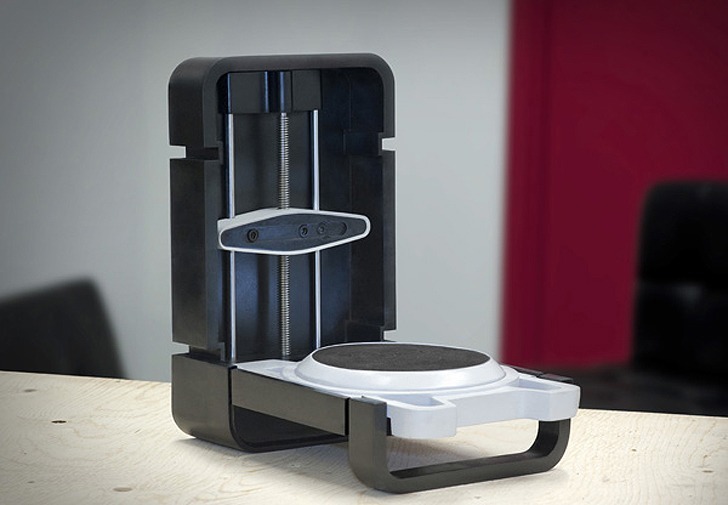 As you may know, their Indiegogo campaign is nearing the final days and, having blown past the $81k goal, they’re prepping to provide 1,100+ backers a stylish new gadget for their desktop scanning needs. We first saw the Photon when Ponoko contributor Derek Quenneville wrote about meeting up with Adam and Drew (creators of the Photon) at Matterform’s studio to check out the development and function of the scanner. It’s a small, sleek design made to give you high-resolution scans with software that’s aimed at the hobbyist/consumer market, aka easy to use. It stores away easily and looks great doing it’s thing. To be honest, it looks more like a Technics turntable than a scanner. Last week, they released video update #1, giving you your own look at the device and… lasers! FINALLY LASERS!!! Currently the resolution of the Photon, on a 4 inch figurine, is 0.43mm @ 0.5 degree scans, with an accuracy of +/- .2mm. We’re quite excited about the current results, and are working everyday to continue improving the resolution. Check out the campaign Updates for sample scans and files. High resolution scan created with a high definition camera and dual lasers. All scanners are fully assembled and tested prior to shipping. There are no kits here. Easy folding design makes storage or transport simple. Quick scans. Multiple quality settings can be chosen but an average scan is 3 minutes. Dual stepper motors for full software control over the scan bed and the z-axis. See the point cloud being captured in real time! Full version of software included for PC, Mac or Linux. NEW! Color Scans! Due to overwhelming success we’ll add color scanning to the software! 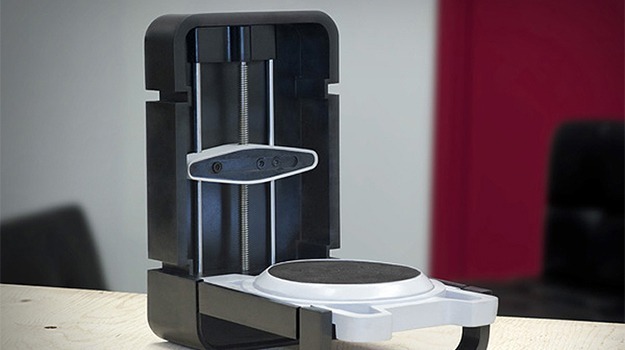 Unfortunately, all the early backer and early batches are sold out, but you can still get the Photon 3D Scanner for $599 CAD ($592 USD, 452 Euro) in batch #5. That includes the scanner, the cords and the software (not including shipping–plan on $15-$32 CAD for shipping.) This is all definitely cool for consumers, but with what their aiming for, we don’t doubt at all design and engineering firms around the world will be keeping an eye on this scanner as well.